Photosensitive epilepsy most commonly affects children, and usually appears between the ages of 8 and 20 years. The incidence is highest around ages 12 and 13, suggesting a link with early puberty, and girls are affected more often than boys. There is some evidence to suggest that photosensitivity can disappear with age. 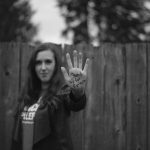 It is estimated that fewer than 5% of people with epilepsy are photosensitive. In addition, there is an unknown number of photosensitive persons who have as yet not had a seizure. Photosensitive epilepsy is largely a genetically determined, although its inheritance is complex. What kinds of flashing lights can trigger seizures? Not all flashing lights or visual patterns will trigger a seizure, even in individuals who are photosensitive. The rate of the flashing light,the duration of the flashing, and the intensity of the light all play a part. A flash at a frequency of between 15 and 20 flashes per second is most likely to cause a seizure, whereas very few people are sensitive to a rate of 3 flashes per second. Recent advances in the electronics industry exposes many people to a wide range of equipment with flickering or variable light conditions. These may cause problems for the person with photosensitive epilepsy. But natural sources, like the effect of sunlight through trees or dazzling reflections off water, are also known seizure triggers. Why do flashing lights cause seizures in some people? The mechanism by which rhythmic light stimulation can cause a seizure is not well understood. Apparently, it can cause nerve cells in those parts of the brain that process visual stimuli to all fire at once in a synchronized fashion, and this causes a seizure. According to neurologist Jerome Engel, “Instead of [the nerve cells] firing individually, like fingers playing notes on the piano, many fire at once-like the banging of dissonant chords”. This only happens when the flashing light or pattern is in the central area of vision and is seen by both eyes. What kinds of seizures do people with photosensitive epilepsy get? The seizures that are produced may take various forms, usually tonic clonic (grand mal), absence, myoclonic, or, less often, simple or complex partial seizures. How can I tell if a seizure is occurring? Watch for brief episodes of blank staring in which the individual seems momentarily frozen in place, episodes of rapid blinking or twitching of the mouth or face, jerking movements in other parts of the body, loss of attention, brief inability to talk or respond, or reports from the individual about changes in the way things look, sound, smell or feel. Can other visual patterns trigger seizures? Besides flickering light, there are also specific spatial-contrast patterns which can be seizure-provoking. In general, high contrast light and dark bars are provocative (if there are between one and four black and white bars in each degree of the person’s vision). The light-dark contrast is critical to abnormal brain response; red-green bars, stripes or patterns are non-provocative. Bars or gratings that oscillate (white to black and vice versa) are more provocative than static patterns, especially if the patterns oscillate in the “dangerous” frequency of 15 – 20 Hz. “Dartboard”, sectored or “whirling wheel” type patterns maximally stimulate the visual cortex and are therefore more provocative, especially when they cover a large proportion of the picture area. Television is by nature a flickering medium, and can pose a risk to viewers with photosensitive epilepsy. The most important criterion is the nearness of the TV screen to the viewer. The closer the set, the more the screen fills their entire field of vision and the greater the effect of the flicker frequency of the picture. Tiredness may be an associated factor. The further provocative factor is the material itself. Music videos and high-tech promotional materials are known for their quick-cut editing and high-contrast lighting patterns that often prove problematic for people with photosensitive epilepsy. Highly detailed computer-generated images can also be provocative. A few simple steps can be taken to help avoid seizures triggered by watching TV. The person should sit at least 3 metres from the set, and should be level with the screen rather than below it. A small, subdued light placed on top of the TV may help counteract the brightness of the screen. A hand placed over one eye if walking towards the TV will also lessen the effects, since images have to be viewed through both eyes in order to be provocative. Can dance or nightclubs cause seizures? The strobe or flashing lights, which may be part of the entertainment in nightclubs, can trigger seizures in people who are photosensitive. It should also be noted that people with epilepsy who are not photosensitive may also find the excessive heat and/or noise in clubs to be seizure triggers. Can video games cause epilepsy? Current medical opinion suggests that video games do not create a tendency to have seizures in persons where that tendency is not already there. However, games featuring patterns of flashing lights and repetitive pattern images may trigger seizures in people with photosensitivity. Today, the manufacturers of video games often put a warning to this effect right on their products. Can computer screens cause seizures? Seizures may be triggered in individuals with epilepsy who are sensitive to the flickering of the computer screen, although the flicker rate is not thought to be very provocative. Anti-reflective screens are easily available and may lessen this effect for some people. Is natural light a seizure trigger? Natural light sources are just as likely to trigger seizures in a photosensitive individual as artificial ones. For example, sunlight shining off water or through the leaves of trees, or rapidly flickering as a person travels past railings, can trigger seizures. A good pair of polarized blue sunglasses (preferably with side shades) can help to reduce the effects of flickering light both indoors and outside. How can photosensitive seizures be avoided? Sitting at least 2.5 metres away from the television set and 30 cm. back from a computer monitor. Not increasing the contrast and brightness of a screen. Using a high-quality computer monitor, with a refresh rate of at least 60 Hz (VGA quality or better). Viewing in a well-lit room to help counteract the brightness of the screen. Eliminating reflected ambient light on the screen. Minimizing exposure to fluorescent lighting. Placing a hand over one eye or wearing an eyepatch when approaching the TV picture will also help, since images have to be viewed through both eyes in order to provoke photosensitive seizures. Wearing a good pair of polarized blue sunglasses (preferably with side shades) of tinted lenses when exposed to flickering light both indoors and outside. Calling ahead when planning on attending a movie, theatrical or other event which may contain strobing or provocative stimuli can reduce surprises. Sodium valproate (valproic acid) is the drug of choice for controlling photosensitive seizures. If something on television or elsewhere causes you to have a photosensitive seizure, bring it to the attention of the station or company responsible and/or to the Canadian Epilepsy Alliance. 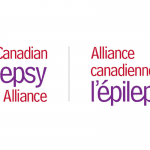 For more information call a member of the Canadian Epilepsy Alliance at at 1-866-EPILEPSY.